Before the modern era of all-inclusive resort vacationing and hasty cruise stops, Port-of-Spain, Trinidad was a bustling center of trade and upscale vacationing. The Queen’s Park Savannah neighborhood was its brightly colored leisure center, a festive destination for eating, drinking and dancing the night away. The Queen’s Park Hotel was the star of this tropical retreat, where everyone (dahling) made a point of staying. Another component that makes a hotel bar great is a fantastic signature drink. 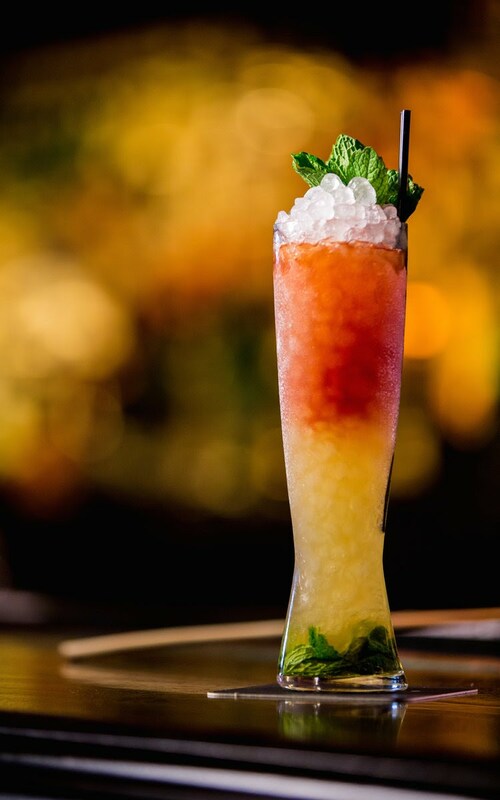 The Queen’s Park Swizzle, born there in the 1920s, is a tall, boozy rum concoction that Trader Vic famously touted in 1946 to be “the most delightful form of anesthesia given out today." Though the neighborhood has lost its luster and the hotel is long gone, this spectacular cocktail lives on. In a highball glass, muddle the fresh mint leaves in the lime juice and simple syrup. Fill the glass with crushed ice. Pour the rum over the crushed ice. Insert the swizzle stick and twirl it back and forth by rubbing the handle between your palms, which evenly chills and dilutes the ingredients, sending the mint swirling about the glass. Add more crushed ice to just above the rim of the glass, then top off with the bitters. Best sipped through a straw.